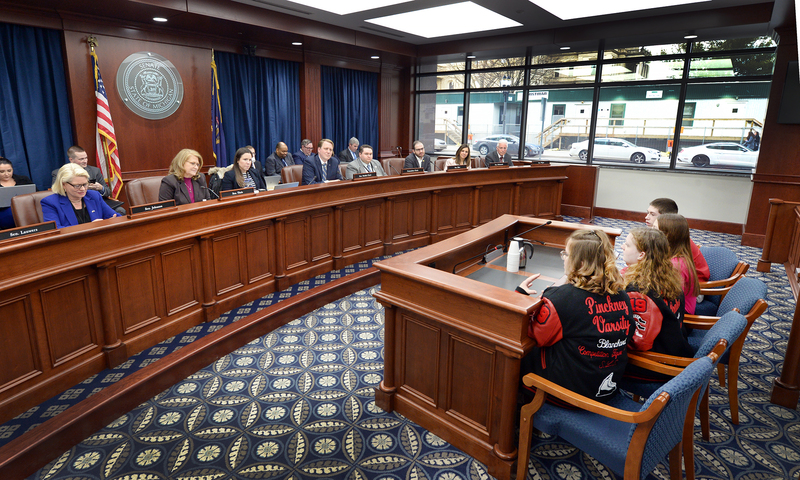 LANSING, Mich. — Students from Pinckney High School invited by Sen. Lana Theis, R-Brighton, testified before the Senate Regulatory Reform Committee on Tuesday, March 19, in support of legislation banning the sale of e-cigarettes, vapor products and alternative nicotine products to minors. Theis serves as vice chair of the committee, which approved Senate Bills 106 and 155, which would also prohibit minors from purchasing, possessing or using the products. 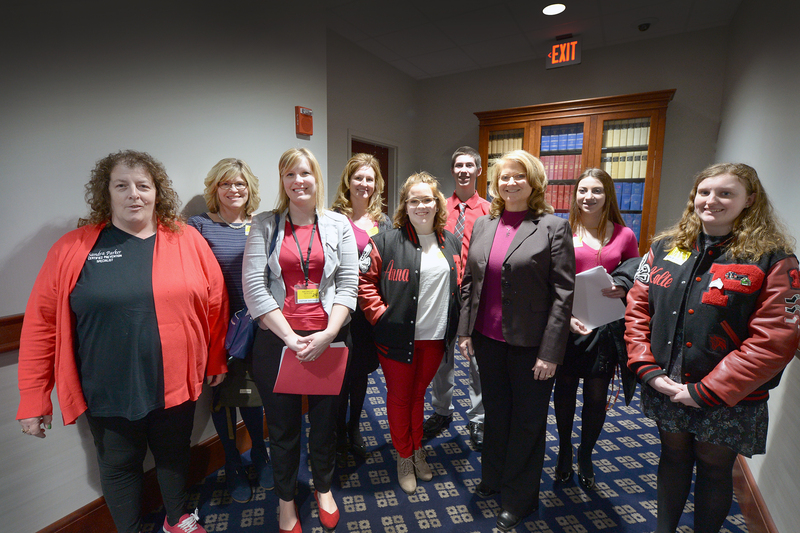 Pictured with Theis are April Woods, Lori Sandula, Ruth Badalucco, Anna Blanchard, Benjamin Welsh, Kalie Alexander and Katie Wheaton. SBs 106 and 155 now advance to the full Senate for consideration. Note: For print-quality versions of these or other Theis photos, click the images or select Photos under the “In the News” tab, above.